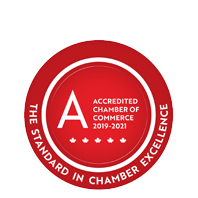 Action Financial Group/HollisWealth® | Investment Services | Retirement Planning | Financial Services - Business Directory - St. Thomas & District Chamber of Commerce - ON, ON ? Our team of financial professionals provides advice and financial products including Guaranteed Investment Certificates, Mutual Funds, Estate and Retirement Planning, RESP's, RRSP's, RRIF's, ETF's, stocks, Life Insurance, Critical Illness Insurance and Disability Insurance. Insurance products provided through Hollis Insurance.